On my first trip to Paris 15 years ago, I walked into a tourist office off the Champs Élysées and asked the attendant where I could go to experience "black Paris." The tourism attendant, seemingly at a loss, pulled out a map and circled a neighborhood called La Goutte d'Or, the center of African life in Paris. Paris has the largest population of black people in Europe. France's long colonial presence in West and North Africa and its unwillingness to break the bond means a large and vibrant African-descended population claims the country as its own. Africanness can be seen in the diversity of the Paris' people, its museums, fashion, art galleries, music—everything. Fifteen years ago, I took the metro to the Chateau Rouge stop and roamed the streets alone with little information. As I walked past produce shops filled with fish, vegetables and spices, I heard little French spoken. I visited a street lined with boutique clothing shops—a recent effort by the government to gentrify the neighborhood. At the end of my self-guided tour, I settled into a Senegalese restaurant and ate some Thieboudienne. Today my experience would be much different. All I have to do to experience La Goutte d'Or is reserve a Little Africa AIRBNB experience with Jacqueline NGO MPII. For the last three years, Jacqueline NGO MPII has been quietly building a media empire through her company, Little Africa. 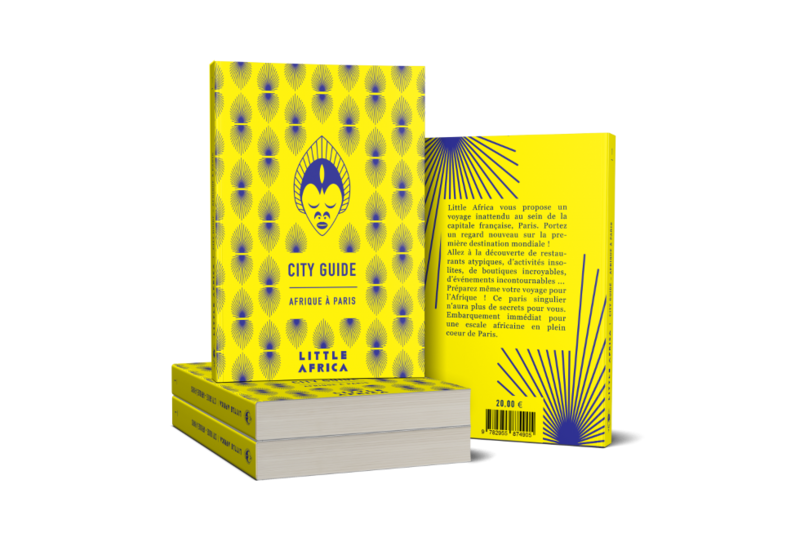 In addition to continuing to offer curated tours of Paris through AirBNB experiences, Jacqueline published The City Guide to Little Africa in Paris. Now anyone, wherever they are in the world, can learn about the African people, presence and influence in Paris. How did you come to live in Paris? I am from Cameroon and I arrived in France at the age of 10 to join my mother and my sisters who were born here. It was difficult at first to adapt to the cold (I'm not used to it), to make new friends and especially to find my place in a society where me being different was seen as negative. What does "Little Africa" mean to you? Little Africa means showing the whole world, especially tourists who visit Paris (more than 35 million a year), a different view of Africa. This quote by Alain Mabanckou illustrates my work: "France has a big part in the history of Africa and Africa has a big part in the history of France." It is giving legitimacy to those who lack reference to their history, their identity, their attraction. Can you define what the company Little Africa is to someone who has never heard of it? Little Africa is a cultural and tourist agency that takes you beyond the borders of Africa. It is a space for reflection on the African presence in major western capitals and elsewhere. It is a space that erases the clichés against African people in these cities by showing the image of a beautiful and majestic contemporary Africa. How did you decide to create a tour based in La Goutte d'Or? The neighborhood of La Goutte d'Or is located in one of the most visited districts of Paris. On the typical tourism tour in this district, tourists see the Sacré Coeur church and experience the bohemian life. This is what France sells to Americans. But no one tells them about this neighborhood of black and arab people. It's a neighborhood that suffered for many years from neglect, and the media often depicted it negatively. When I started exploring the district, I met a lot of owners of the shops, black and white people. What they were doing was beautiful. I wanted to change the image of the neighborhood and to help the shops around there to benefit from the economic impact of tourism. What inspired you to create a company that aims to share the best of Africa, but through Paris? African culture is present outside of Africa. She is at the corner of the street, especially in Paris. It is the largest African community in Europe. But it is rare that it is promoted positively in the media. Immigrants and their cultures are often blamed as attacking the values of the countries they live in. There has also been a negative image of African presences in France (polygamy, delinquency, school failures, prostitution, religions). We need to show what immigrants have brought and continue to do in these countries (population, art, music, gastronomy, spices, intellectuals, literary thought, manpower). Take any big city in the Western world the scenario is the same. When and how did you come up with the Little Africa company idea? It is a long story. The original project was to create a travel agency that would discover Africa with strong social themes. I have not been able to achieve this project because of lack of funding. I thought up the Big project, but now I had to think little to make it more accessible less gigantic! Today Little Africa is a company that curates experiences—we help you travel Africa by curating experiences in Paris. I want people to get out of their homes, make them think. The book has allowed Little Africa to really grow and become a company. I felt like people needed something besides my visit. Something was missing, so I decided to do a 230-page travel and cultural book. 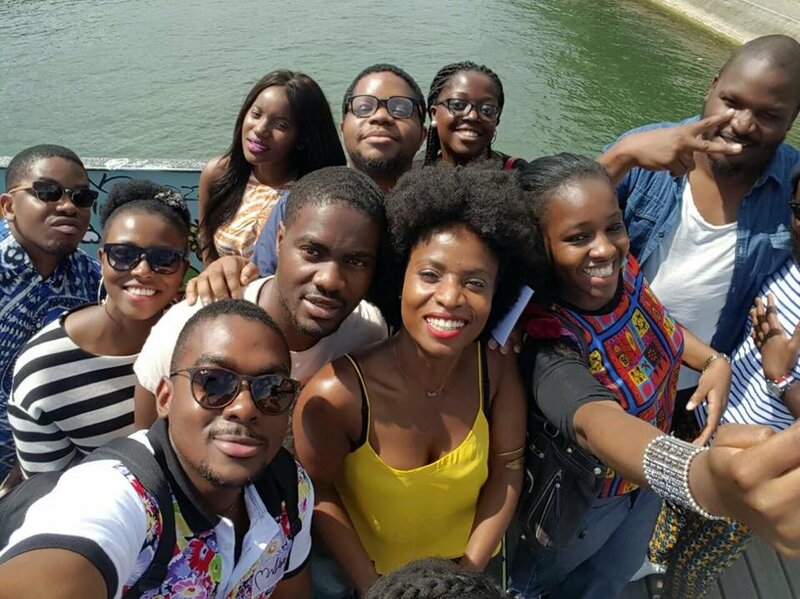 What are your favorite activities in Paris that relate directly to Little Africa? This museum explains the immigration in France so there is a lot of information on immigration from Africa. The motif on the outside of the building is very interesting because it tells the story of the colonial conquest of Africa by France. The food is very well cooked. It's a good price for value. It's a concept store. It's very colorful and the guys over there are very nice. They sell, books, nice objects, games and jewelry. It's one of my favorite bookstores in Paris. It has a large number of lifestyle and cooking books.